Here's a great production box that can magically produce items TWICE! Show an empty glassy box to the audience. Suddenly and visually, colorful and shiny paper-flowers appear, filling the box! Remove them so that the box is once again empty. Voila! Now it's filled with money - loads of bills! Remove some to show they are real objects! 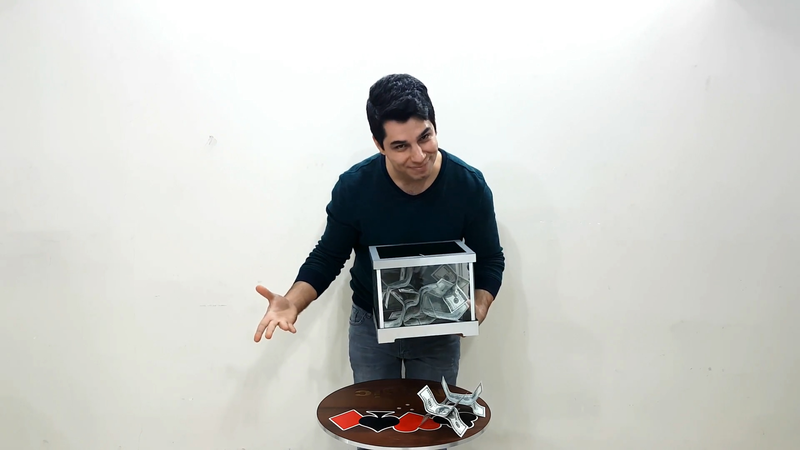 Audiences love being surprised, and using this box will generate amazing reactions for you and your magic!